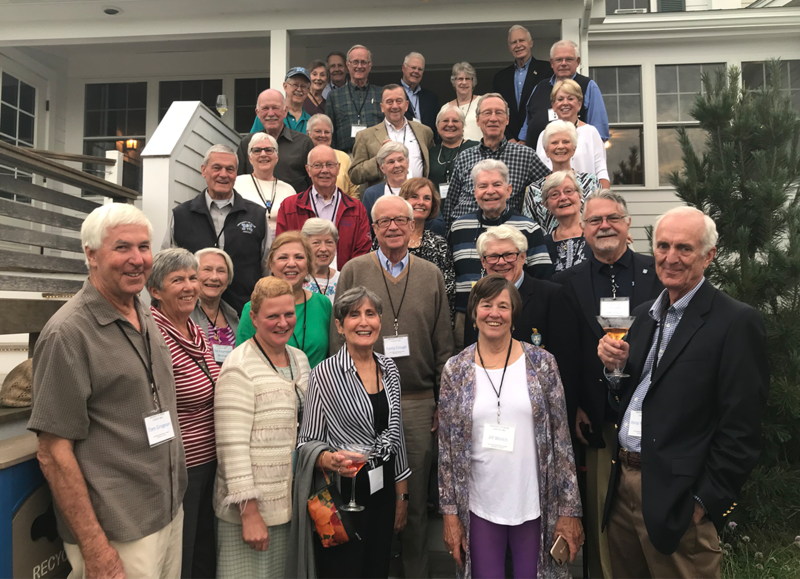 The Class of 1963 has issued a challenge to other alumni classes to help support the Alumni Association’s advocacy work on behalf of UMaine. Class of ’63 officers recently voted to contribute $10,000 to the Association’s advocacy fund, which directly supports the Association’s independent efforts to promote public investment in UMaine through allocations and policies. Furthermore, it issued an appeal to other UMaine alumni classes to contribute financially to support and sustain the Association’s advocacy efforts. The advocacy fund supports costs associated with activities and presentations that encourage positive interactions between Maine policy makers and UMaine advocates, including alumni and friends, campus and System officials, students, and faculty. A recent example included a February 27th reception in Augusta for state legislators and alumni, at which legislative leaders, UMaine President Joan Ferrini-Mundy, Alumni Association Board President Julia Munsey ’02, and entrepreneur Nate Wildes ’12 spoke about UMaine’s positive role in workforce development and economic growth. Class officers and alumni interested in knowing more about how they can support the Association’s advocacy fund should contact Ashley Twombly ’10, ‘12G, associate director of alumni programs, at (207) 581-1144.